IANEPA offers many services to the local muslim community. Check out our services and events link for more information. Islamic Association of North Eastern PA is a non-profit organization of Muslims dedicated to worship, education, and community service. Assalamu Alaikum and welcome to the online home of the Islamic Association of Northeast PA and Masjid Al-Noor. Whether you are a native of the area or just visiting, we warmly welcome you into our community and encourage you to make this one your own. We invite you to get involved through our program and events, and sign up for various volunteer opportunities. Please feel free to contact us for more information and to let us know how we can serve you better. 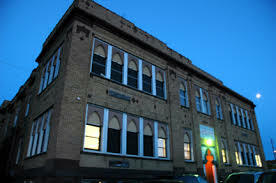 Our purpose is mainly to maintain an Islamic center in the community to serve as a place for Islamic prayers and religious activities; to serve the youth by providing them the educational courses on Islam, its teachings, and history; and to provide Muslims with the spiritual guidance based on the teachings of Islam. IANEPA also serves to organize courses of study in Quran and the Sunnah, as well as strive to meet the needs of Muslims and non-Muslim knowledge seekers, to enhance tolerance, dialogue, goodwill, understanding and fellowship, and to promote friendly relations between Muslims and non-Muslims.